Adventure is an action-adventure game released for the Atari 2600 in 1979. 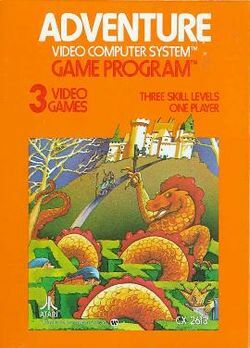 It is one of the first adventure video games ever made. This page was last edited on 6 January 2015, at 23:07.